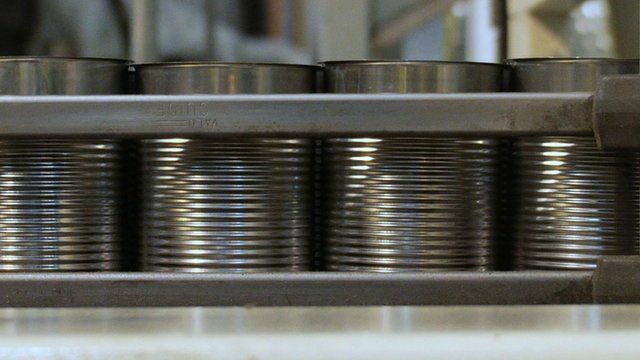 Tin can production has come a long way from the original process of making cans by hand. Today, a modern factory can churn out millions of cans every day. The Crown Bevcan plant in Leicester is one of Europe's biggest producers. Manager Matthew Wheatley explains the production process.